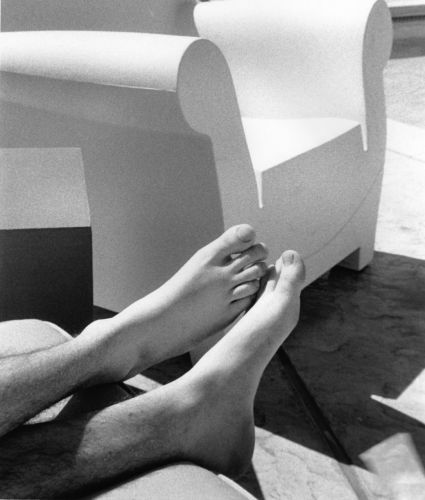 This could be me today, minus the sunshine and the hairy legs. Because I am a lazin' fool. It is two days after Christmas and I am lazing about. Or you could call it lolling if you prefer. My two new kitties don't care what you, or I, call it. They have raised the art of lazing to an art form, and especially like to practice it in front of the fire. I have new books to read, including Under the Dome by Stephen King, which is, oh, almost 1,000 pages long and thus should assure me lots of lazin' time. For Christmas, I also got art supplies and crafting books, which should assure me time away from the computer, which I sorely need. I resist both time away from the computer and lazin' time and I suspect I just figured out the reason why. It is because I enjoy it so much I'm afraid I'll never stop. I'll just sit here next to the fire, reading away, for all of eternity. And never write another word. Never earn another penny. Never do another useful thing, ever. That is how my brain starts running when I relax. So you can see why I generally chain myself to my computer. Because otherwise, life as I know it will end. There will be this glorious blaze of sloth and laziness and that will be it. It is for this reason, also, that I rarely watch TV. Because I am afraid I will enjoy it too much and I will become one with the chair and never, ever get up again. I'll be able to recite details of every single episode of Law and Order and I will be one of the few people who understands anything about Lost. So thus it is better simply not to turn the TV on in the first place, because if I did, I'd have to write a blog about TV instead of writing one about writing. But for some reason, after Christmas, I allow myself to be slothful and lazy. Maybe it is because the run-up to the big day is always such a last-minute rush for me (again, because I've generally chained myself to the computer) and the Christmas itself is a mad dash of cooking breakfast, opening presents, cleaning up, and then cooking dinner. And after all of that, I actually have to admit I am tired instead of pretending that I'm not. Or perhaps it is because Christmas gives me the bounty of choice–all those wonderful presents to peruse and play with! Shiny new books and toys! I'd be doing the givers a disservice if I didn't take a couple days to enjoy my presents, right? Then, too, it could be because it is cold and wintry out (though no snow yet, boo) and we are still experiencing the shortest days of the year, even though they are already getting longer. It is winter, the days are dark and cold, the blood runs slower and it is time to relax. And so I'm doing my best to be lazy and slothful for as long as I possibly can. I plan to return to my writing in a couple days, refreshed and renewed and full of new enthusiasm for things to write in the new year. Because even the most prolific of writers needs a fallow time in which to rejuvenate and regenerate. It is an integral part of the creative cycle, and by not allowing ourselves time to laze about, we do our muses a disservice. So join me in being slothful and lazy this week. You'll be glad you did. And if you should feel energetic enough to write something, what is your favorite way to be slothful? Photo used under terms of a Creative Commons 2.5 license.